Now is the perfect time to get a great deal on the beautiful wedding gown of your dreams. 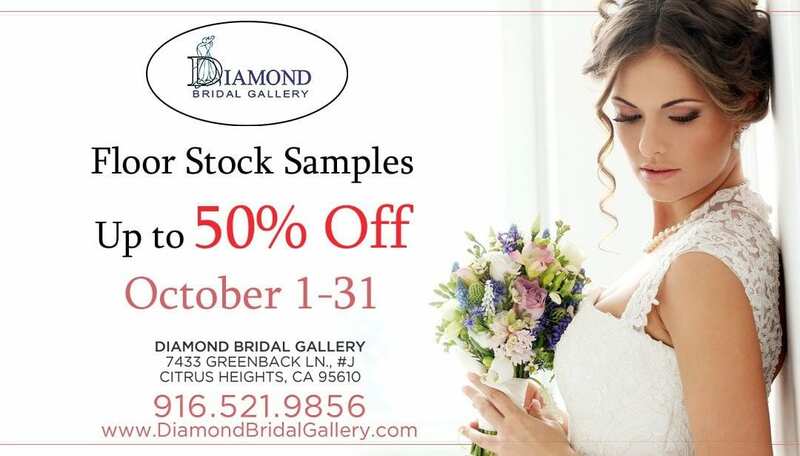 That’s because Diamond Bridal Gallery of Citrus Heights, California, is hosting its annual floor stock sample sale for the entire month of October. You can help us make room for new, incoming stock and we will reward you with up to half off our current stock. The most stylish and elegant wedding attire can be found at Diamond Bridal Gallery. Whether you are dreaming of a traditional princess ball gown or a chic, contemporary sheath, you are sure to find a dress in your favorite style for an awesome price. This is your chance to snag a stunning bridal gown from a top designer for a deep discount. The gown may be discounted but the service never will be. Diamond Bridal Gallery is a full-service boutique that is committed to making every bride feel special as she prepares for her big day. To get an impeccable fit and one-on-one attention, we suggest that you make an appointment with one of the boutique’s experienced bridal consultants to help you find the right style, silhouette, color, and fabric for your special day. 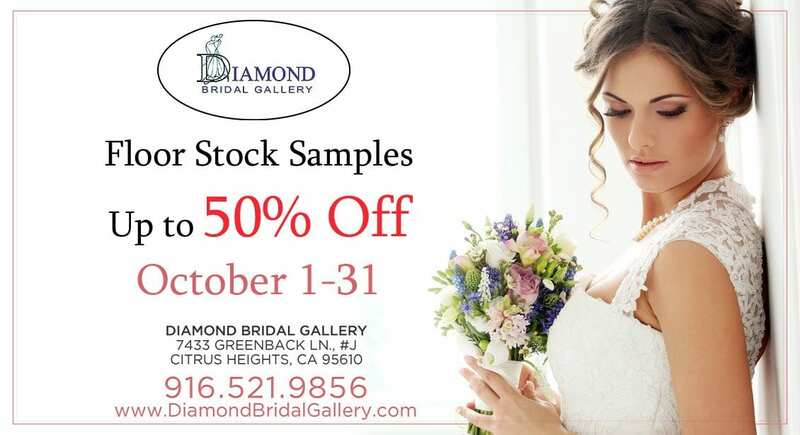 Make your appointment today for the Diamond Bridal Gallery floor stock sample sale. Appointments can be made by calling the boutique at (916) 521-9856, emailing info@diamondbridalgallery.com, or logging into the store’s website at www.diamondbridalgallery.com and clicking the “Make an Appointment” link in the upper right corner. Don’t let this opportunity pass you by. The sale ends on October 31.